Another book fictionalising the lives of artists? Well, yes, and no. Alex Miller’s latest novel, Autumn Laing is loosely based on Sunday Reed’s notorious affair with Sidney Nolan, but really, it has more in common with Matthias Politycki’s Next World Novella than other recent fictionalisations reviewed here. Miller’s book is a reflection on life and a plea for redemption. A page-turner it’s not. Very little actually happens as Autumn Laing looks back over her long life. Now suffering the indignities of old age (few of which Miller spares us, with the effects of cabbage as a running gag) she has caught a glimpse of Edith Black at the shops. Edith is Pat Donlan’s wife, and the woman Autumn wronged when she undertook her tempestuous affair with the artist. And yet, Autumn seems to beg, was it wrong to have made him what he was, the founding father of distinctive Australian modernism? We can only give ourselves fully to any one thing. Art demands everything. Art is a woman, Pat. She is not kind to those who only give a part of themselves. She wants everything or nothing. She sees everything else as a betrayal. Well, betrayal is something that Autumn knows about. 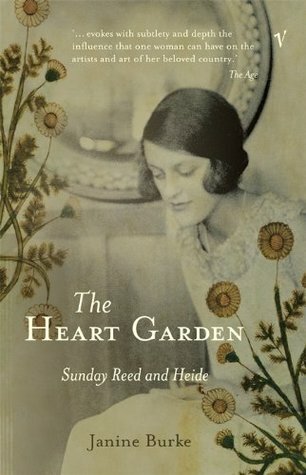 She ruins Edith’s life, seducing Pat Donlan almost to the day that Edith announces her pregnancy. She cuckolds her husband – kindly, tolerant, almost too-good-to-be-true Arthur – almost as soon as he brings Pat Donlan home to dinner after he has failed to enveigle an art bursary from the only prominent patron of modernist art in town. We can see how awful and arrogant and dismissive of other people’s feelings she was because she is still awful to people in her old age. She is splendidly bitchy to the American journalist Adeli who hovers like a vulture in hope of getting her hands on the Nolan oeuvre just as soon as Autumn dies. 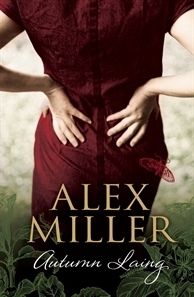 Autumn Laing has been nominated for the 2012 Miles Franklin award.